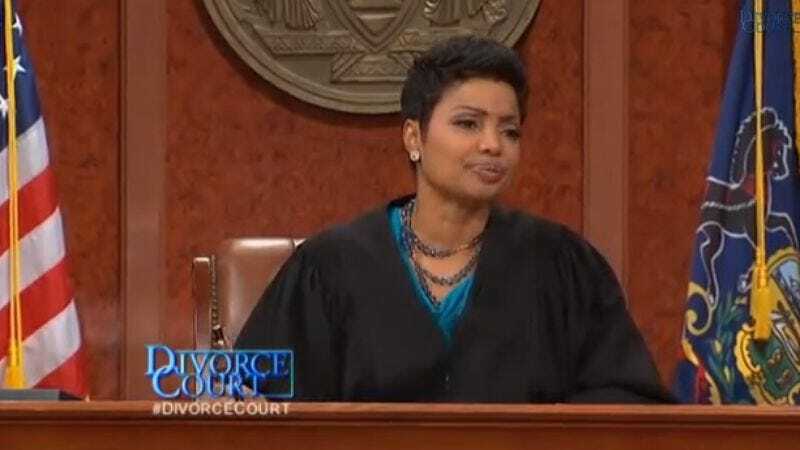 Twentieth Television has announced that it is renewing its daytime TV staple Divorce Court through 2017, dashing the hopes of all who wanted to believe that America might finally find a way to love each other again by then, and maybe even move back in together. Instead, the show—whose current format is in its 15th season (since its last reinvention in 1999), but whose concept originated the 1950s, right around the moment we first realized sometimes love isn’t enough—remains as popular as it’s ever been, much like lying when you say the word “forever.” In citing reasons for the renewal, Fox Television cited the show’s recent, seven-year high of 3 million viewers per episode, as well as the fact that it’s probably something you did. You know, maybe if you’d just behaved a little better, we wouldn’t need a Divorce Court.